Firstly, huge apologies for the glitch that some of you have had with the download of Performance Hoof, Performance Horse - thanks to everyone who has reported that it is working and that it isn't, which has been a big help. You need to go to Amazon and ask for a refund of the previous version (this is because Amazon won't allow me to simply replace the previous version with the new version). 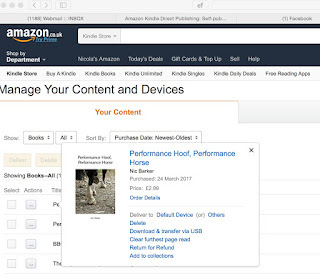 You can do this if you go to "Your orders" then select the ebook and click on "Manage Content and Devices". 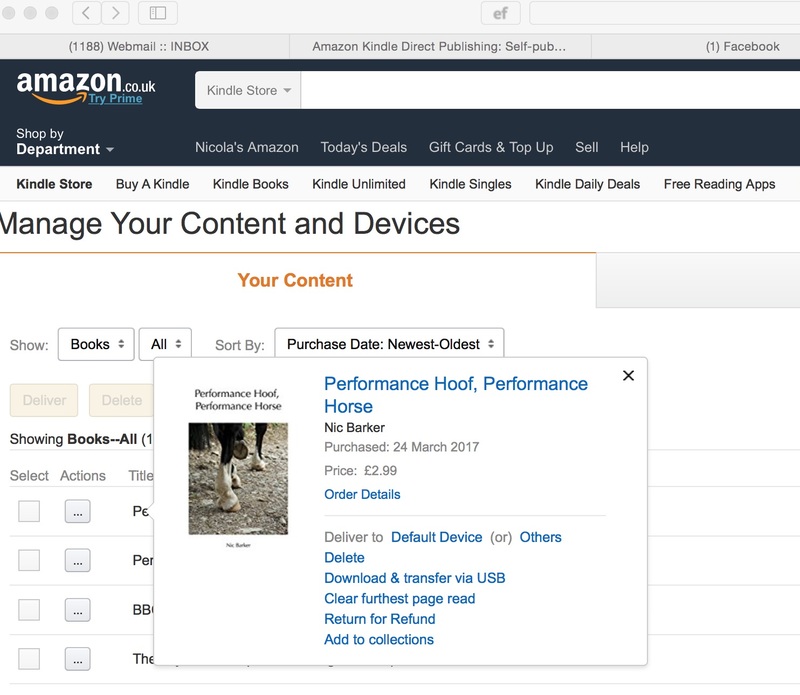 You should see the ebook and click on the "Actions" button next to it and select "Return for Refund". 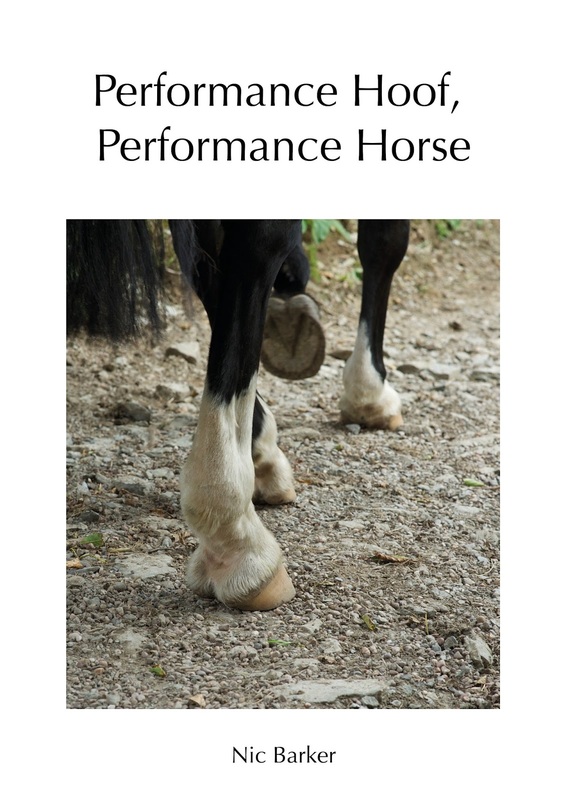 Once you have done that, you can find and download the re-formatted version of the book here: Performance Hoof, Performance Horse. We've tried it on the Kindle devices which were problematic before and its now working fine on them. It is unchanged on iPads, Kindle Cloud and the Kindle apps where it was working before. Please note that because of the large number of photos it is not compatible with devices which don't have colour displays. Many thanks for your patience and if anyone still has problems please email or message me as before! My new book is now officially out there - huge thanks to my proof-readers for helping get it this far. It's available as a download for £2.99 and there will be a print version coming soon - more details on the blog shortly! PS: A few people have reported that there is a problem with the spacing on Kindle devices. We think we have now resolved it but if you have any problems then PLEASE email me (nic@rockleyfarm.co.uk) or message me on Facebook . Its been a long time putting it together but I'm now on the last lap and I will let you know as soon as its available. It will most likely be digital rather than print so I'm hoping there won't be long to wait. I've taken a blog holiday for a few weeks but although its been a great break it feels like its time to get posting again - I hope you agree! Lameness in horses is a very, very common problem and in the horses we see here its most often a lameness which blocks to the back of the foot - the palmar hoof in veterinary parlance. 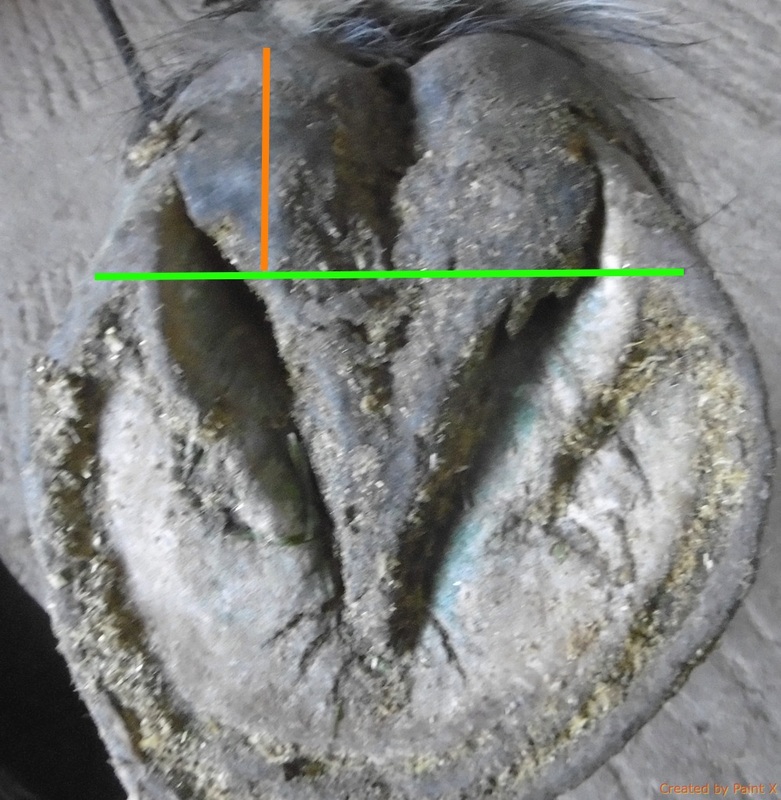 Sometimes the weakness in this area seems to be obvious, as in this horse who had been shod young, but photos alone are never enough. For example, its possible to have an ugly, weak foot which is nevertheless improving and strengthening. Even a foot with a wizened frog and crushed heels and which has suffered soft tissue damage (like DDFT injuries) internally may already be capable of landing heel first; this is enough to reduce strain on the DDFT and allow healing to begin. If this continues the pain in the palmar hoof will reduce and the horse will load it more readily. Over time as this good movement continues the frog, heels and digital cushion will rebuild. The difference in this horse over a period of many months is testament to the dedication of her owner. Its only in motion that we can tell whether the foot is healing itself and its always worth checking how the horse is landing because just as good movement repeated leads to stronger, healthier hooves bad movement repeated will lead to lameness. This is ostensibly not too bad a foot but the movement on this horse had deteriorated from heel first to flat at the time this photo was taken. Thats always a red flag warning sign for me and in fact this horse had developed thrush - an infection in the central sulcus of the frog. 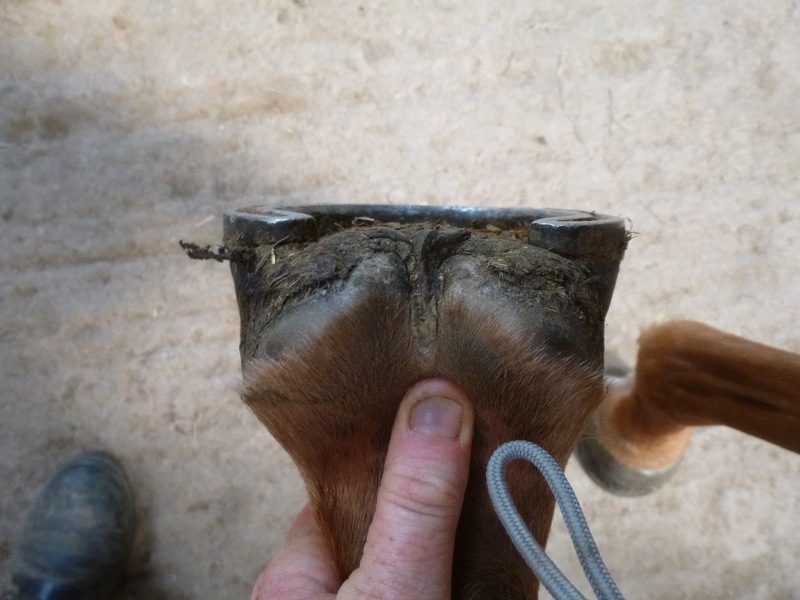 This coupled with a lack of movement had led to a deterioration in her palmar hoof and she had become lame. The same foot 3 months later looks a little tatty - the weather had been much wetter than when the earlier photo was taken - but her frog is in much better health, the infection has gone and she is landing heel first. 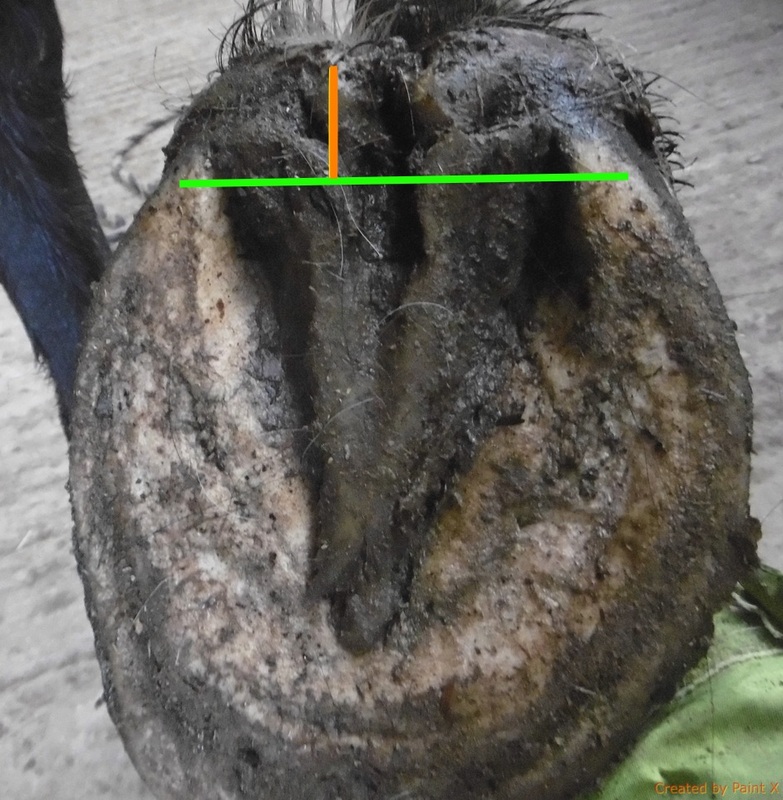 In the photos, her palmar hoof is now back in business instead of under-running - the clue is in much shorter distance between the end of her frog and where her heels are loading. 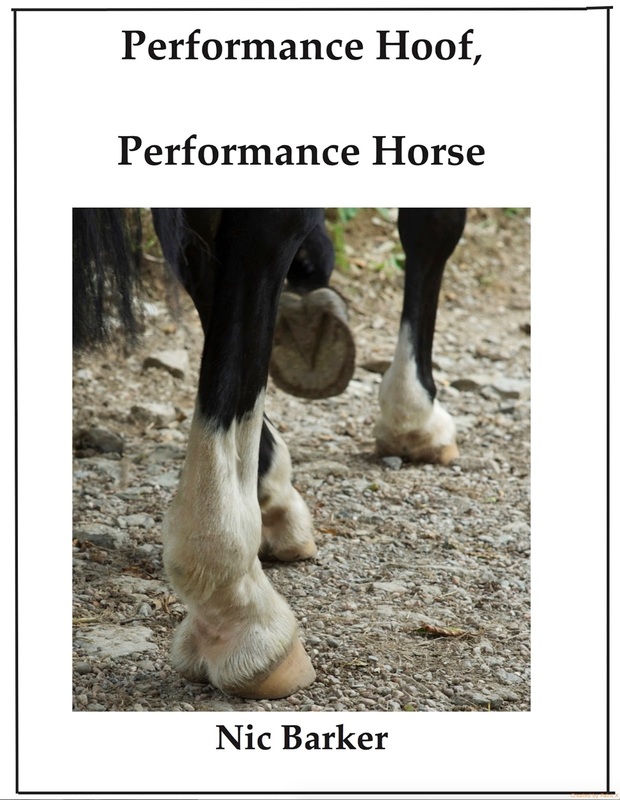 The motto of the story is that it pays to check whether your horse can walk like this. 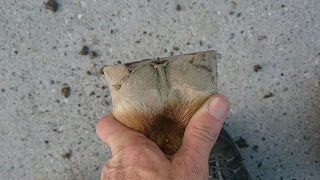 If not, then his palmar hoof may well need some TLC.